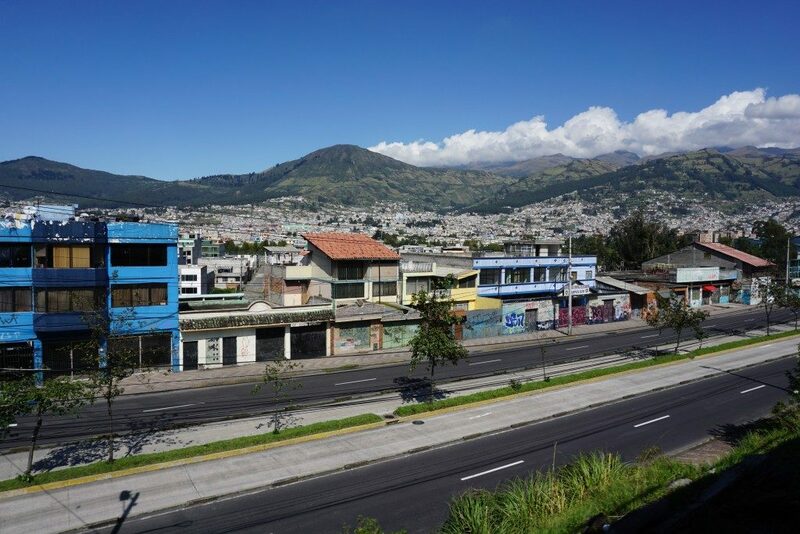 Quito is one of those cities, which was a pleasant surprise for me. 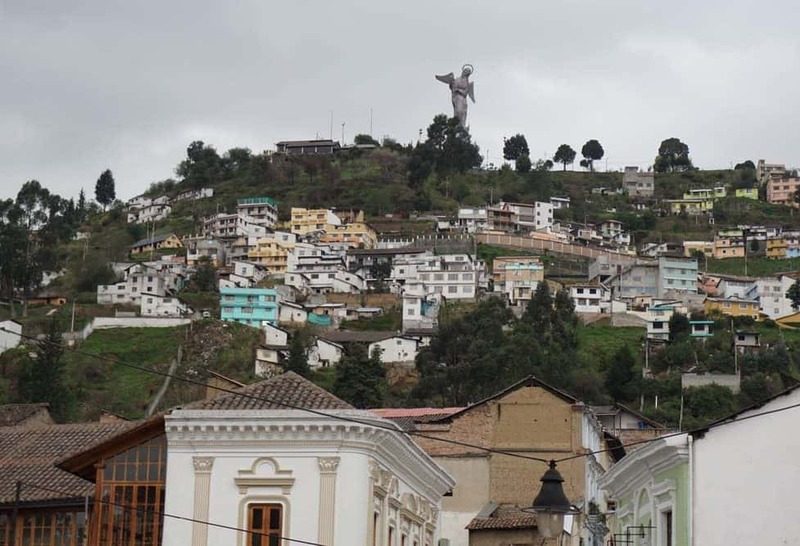 I was not expecting to love this city so much, but after spending some time there, I immediately added Quito to the list of my favorite cities in the world. Are you wondering what is so cool about Quito? Well, it is a city that welcomes you with a rich history, beautiful architecture, nature and an impressive culture, myriad of opportunities for adventure, great food, and of course, the magic of the locals (the friendliest natives!). 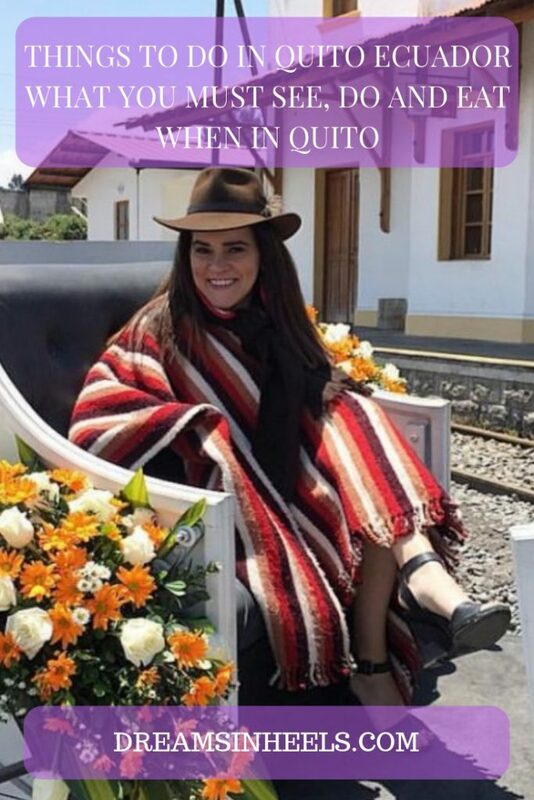 In this quick travel guide, I intend to show you the top things to do in Quito Ecuador: What you must see, do and eat when visiting this magical city! 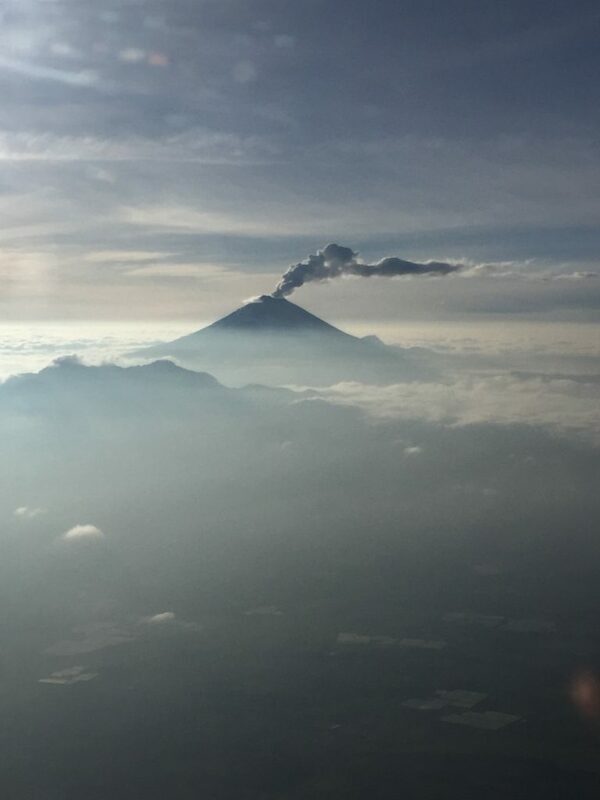 0.1 What is the weather like in Quito and What should I pack for my trip? What is the weather like in Quito and What should I pack for my trip? 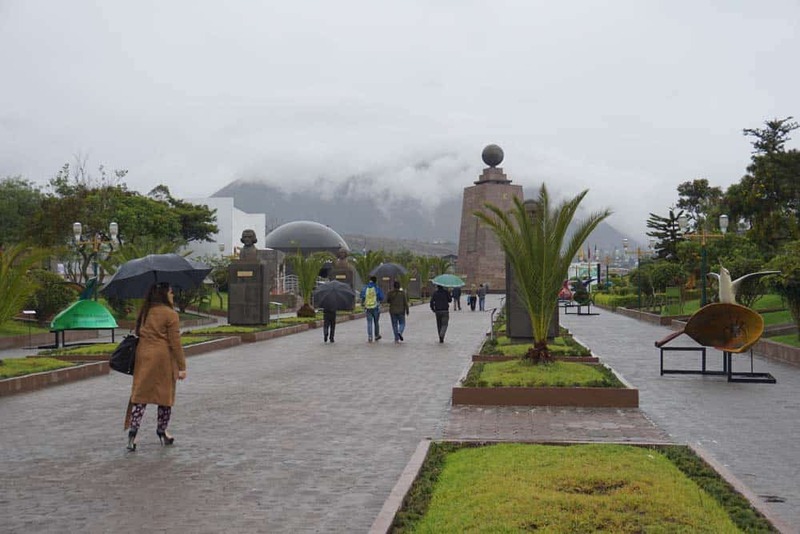 In Quito, you can experience four seasons of weather not only throughout the year, but also in one day! It is recommended that you always carry with you: sunglasses, a scarf or sarong, a light jacket, an umbrella or rain coat, because sometimes it goes from very muggy and cold in the morning, to spring/summer during the day to fall and even winter temperatures in the evening. I visited during November and the weather kept changing. Of course, they do have a summer and all, but since Quito is surrounded by mountains, be prepared for it to be cooler during the evening. I personally loved the weather because it gives you the chance to enjoy different types of activities, all in one place. 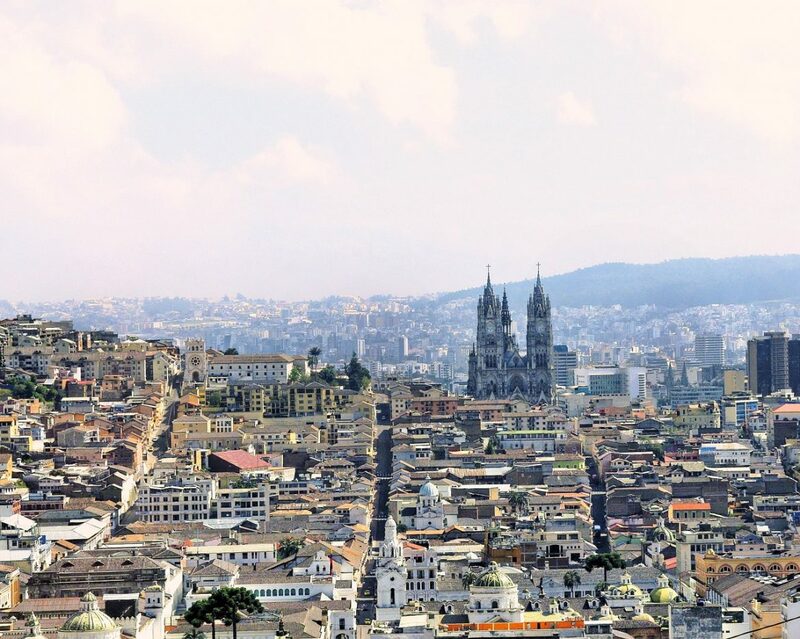 Looking for a way to enjoy the best view of Quito from above? The TelederiQo’s Pichincha cable car takes you from 2950 meters above sea level to 4053 meters (covering a distance of 2.5 km) in just 10 minutes. Located in one of the most important elevations of the Avenue of the Volcanoes, you can admire a string of beautiful snow-capped summits from an amazing elevation—making it impossible to take a bad picture! Also explore the small but beautiful chapel found there. 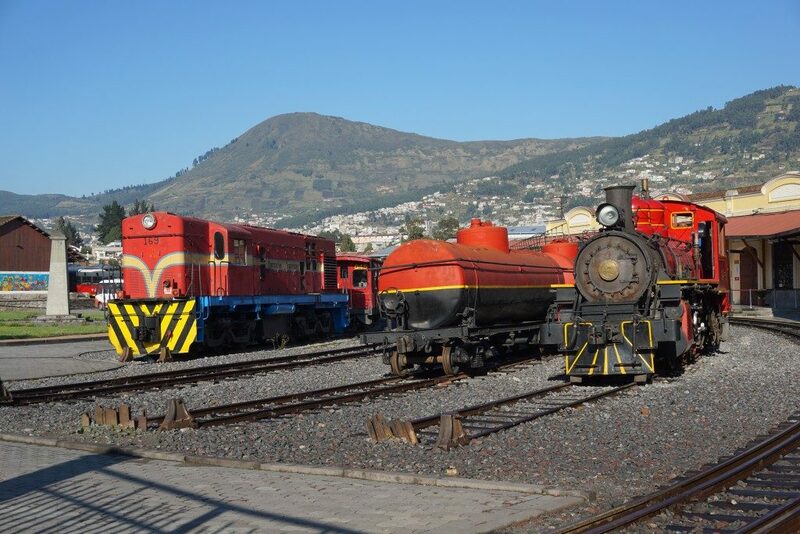 Enjoy a panoramic ride on the train Ecuador. 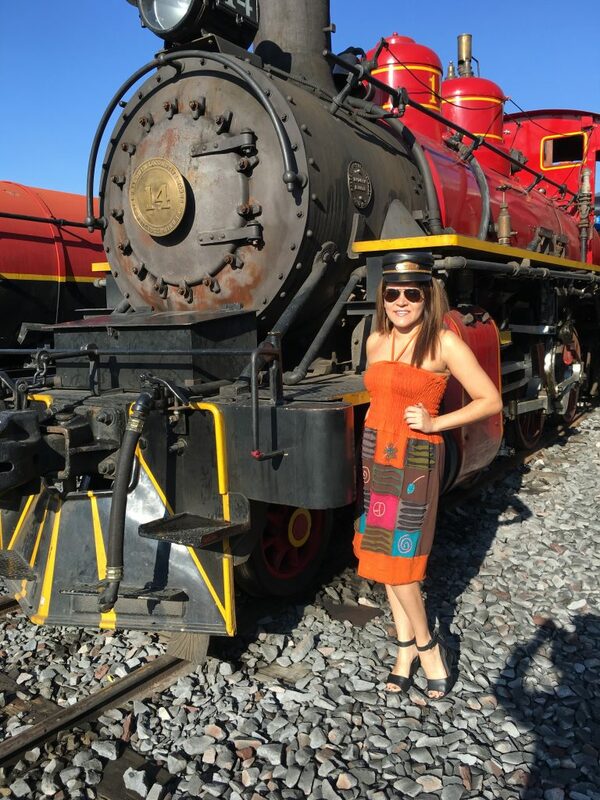 Starting at Chimbacalle station, learn about the history of the train’s origin and enjoy a photo opp in front of a replica train. During the ride, you will see the most stunning views, including Pichincha, Atacazo, Pasochoa, Corazón mountains and the famous Cotopaxi Volcano. 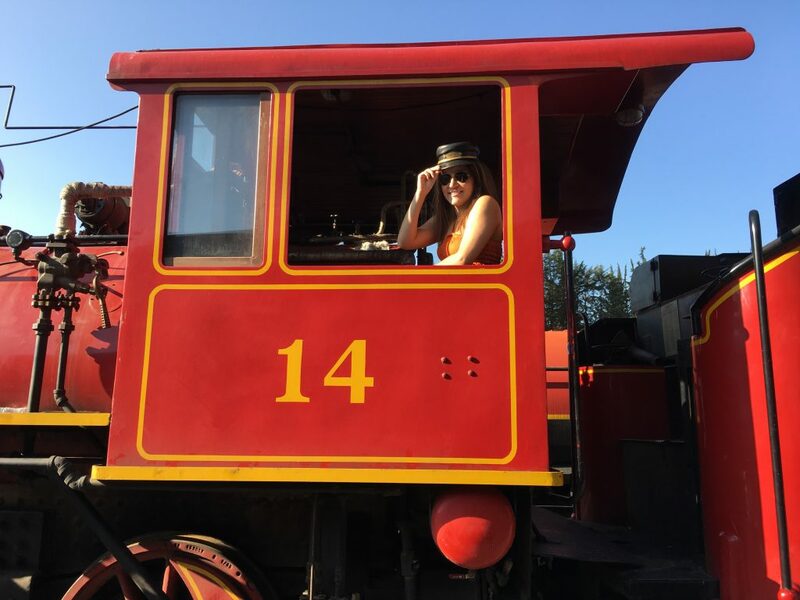 I also loved the street art at the beginning, not to mention the beauty of nature and the animals…but don’t let all the gently moving train lull you off to sleep—you will miss out on a lot. 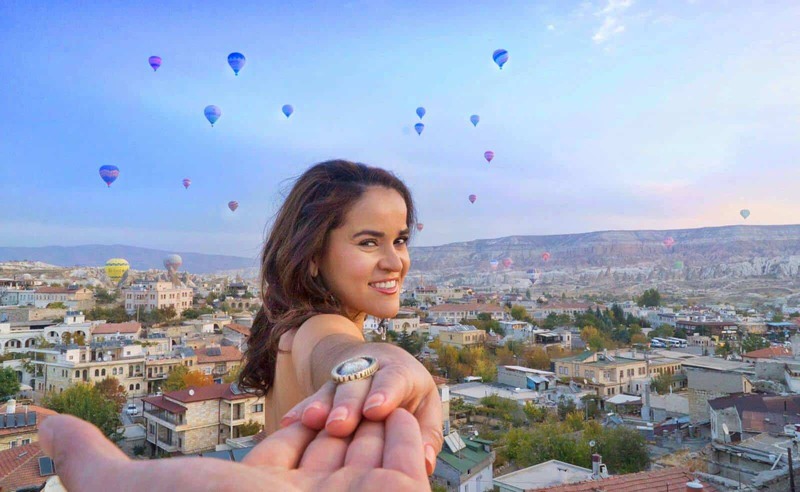 The Panecillo provides breathtaking landscapes of the entire City and a perfect selfie spot. Enjoy the views while also listening to musicians performing live. Also, local artisans sell souvenirs and handmade items. The highlight is the sculpture of La Virgin del Panecillo. Standing 45 meters high on top of this mountaintop, she’s hauntingly visible in the distance from many vantage points throughout the City. But up close and personal, this large-scale copy of the Virgin Mary (from the 18th century, also by Bernardo de Legarda) leaves all in her presence awestruck. Note: I recommend that you visit during the day (especially if traveling alone). 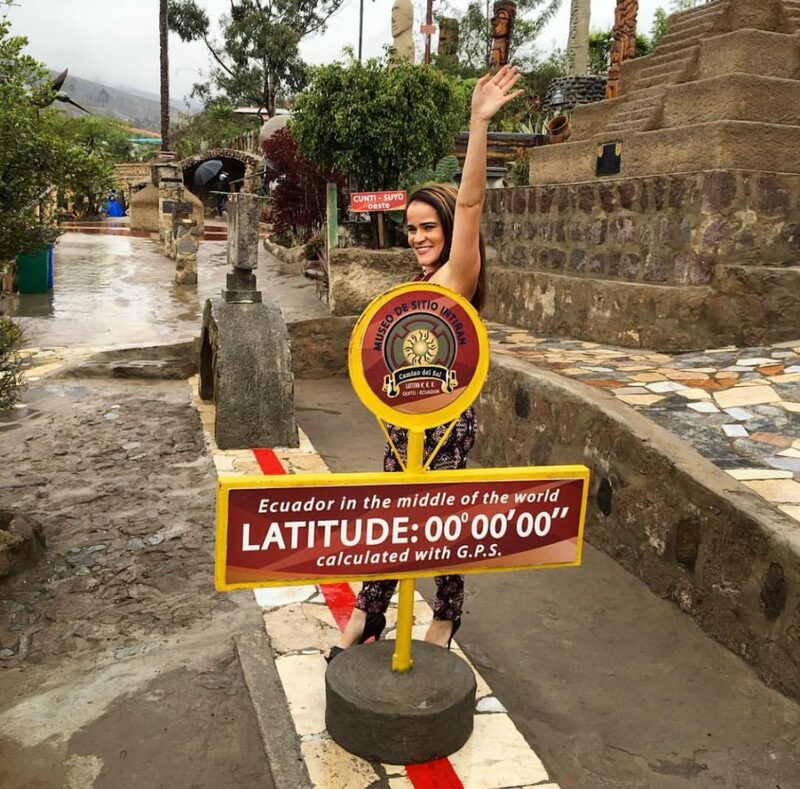 You cannot leave Ecuador without standing on the actual Equator …. That’s 0-0′-0″ latitude in the area north of Pomasqui! Atop the Equatorial Monument, an imposing square pyramid built in 1979, sits a globe surrounded by a silver band, representing the Equator and the true position of Earth. But don’t skip the later, scientifically proven, middle of the world, which is very close by (that’s right, there’s two). 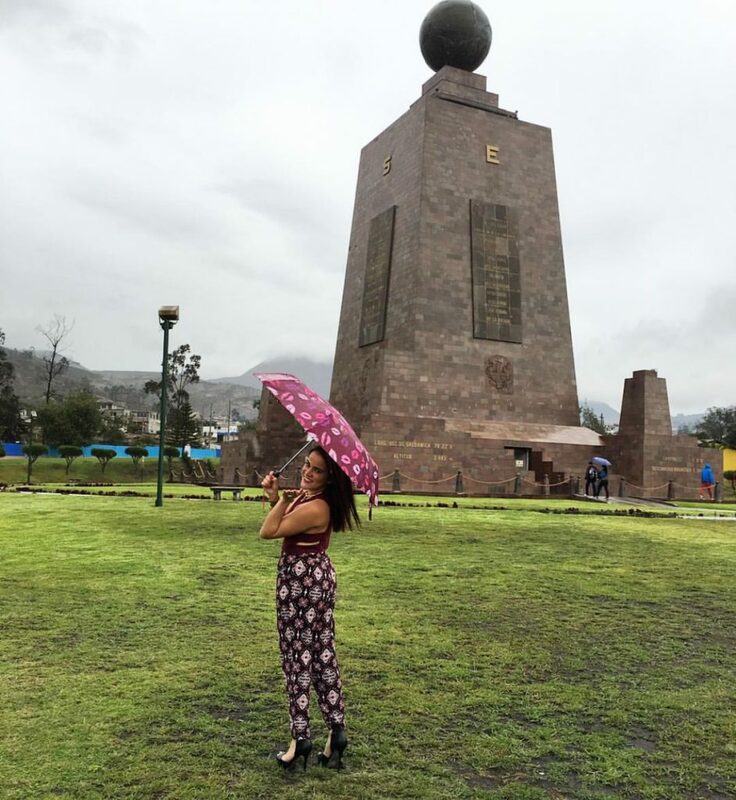 Based on current calculations, the actual Equator is about 240 meters north of the Mitad del Mundo monument. Fortunately, it’s a short drive or walk from one to the other. The true line is marked inside El Museo de Sitio Intinan, which is not your typical museum. 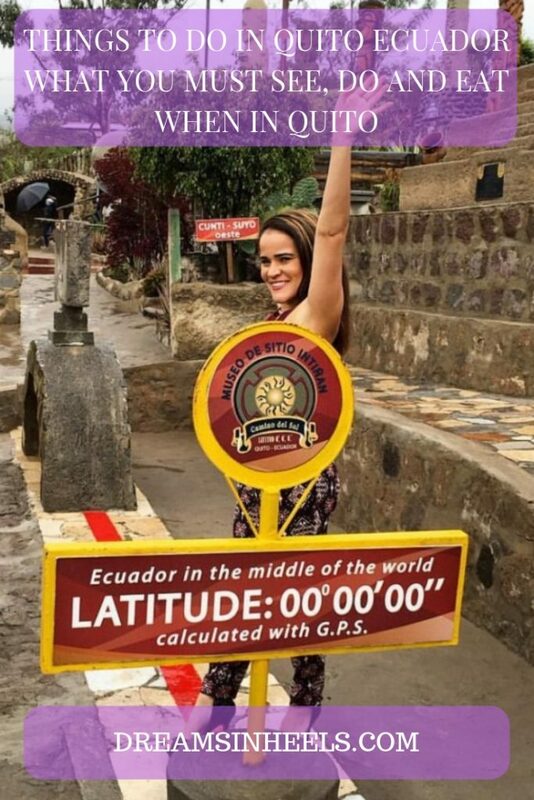 A series of fun experiments, set up along the GPS-measured Equator line, help to demonstrate the effects of being exactly on the Equator, as well as differences between the hemispheres. It is the wow factor not to be missed! For example, a bucket of water poured into a tub on the Northern Hemisphere side, swirled in one direction (as indicated by the leaves floating in the water), whereas on the Southern Hemisphere side, the water swirled in the opposite direction. And the distance between the two is no more than 3-4 meters! Hint: Bring your passport—at the end of the museum tour, they’ll stamp it. Many people regret not having it, but now you know better. 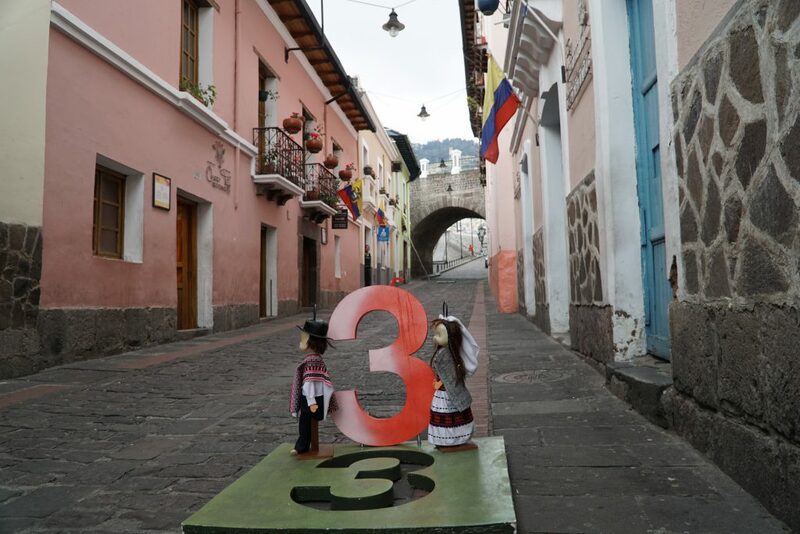 To soak up the amazing culture and the friendliness of the people, visit La Ronda, Quito’s oldest street (representing bohemian art and old Quito) known for its food, crafts, and outdoor entertainment, especially in the evening. It was here musicians played (pioneers of the pasillo), artists painted and the poets of the 1930’s mingled. Discover artisans at work with silver, straw and tin, and others creating with chocolate, honey, wood, or textiles. Taste delicious food and fresh cocktails at the many great bars and restaurants. Try the traditional Ecuadorian drink canelazo—an alcoholic hot drink made with brandy and cinnamon—delicious! You will also come across all kinds of art, such as sculptures, credenzas, even saddle bags, decorated with traditional baroque and European iconography, are fused with indigenous and modern art. Hint: Special performances are common, such as musicians singing traditional songs and playing various instruments….many are just walking along the street in search of an appreciative audience. Did someone mention food? Who’s hungry now? 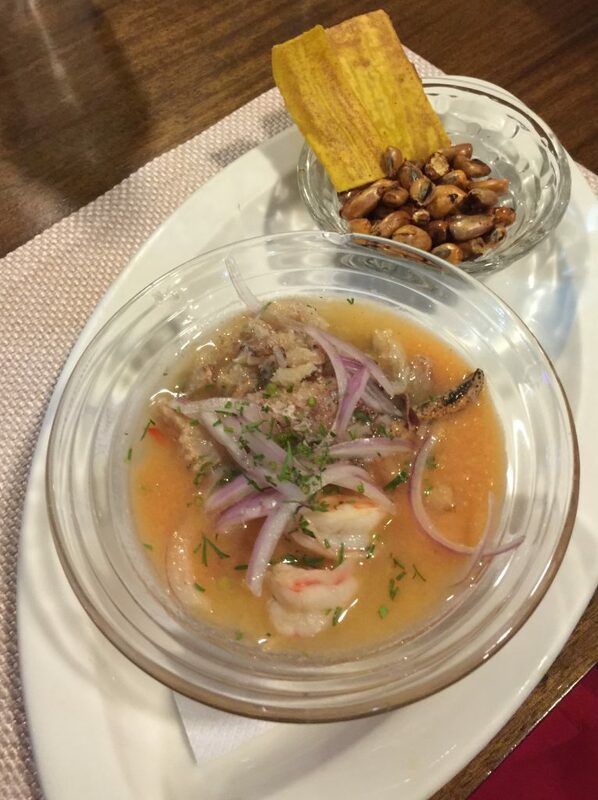 Let’s move on to the Foodie Stops that you should make in Quito. PIM’s Panecillo Restaurant is a great spot for lunch. It is right across from the Panecillo viewpoint where there is the Virgin sculpture that I mentioned above. In there, you’ll find tasty traditional Ecuadorian food and lots of variety. Enjoy your meal while enjoying the amazing view of the City. 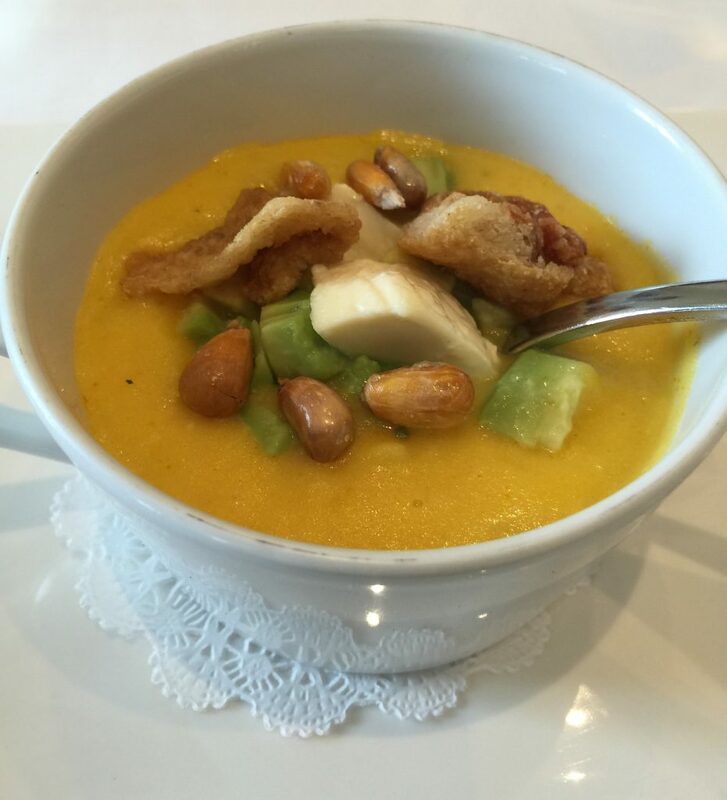 A must try: Locro Soup and Seco de Chivo. 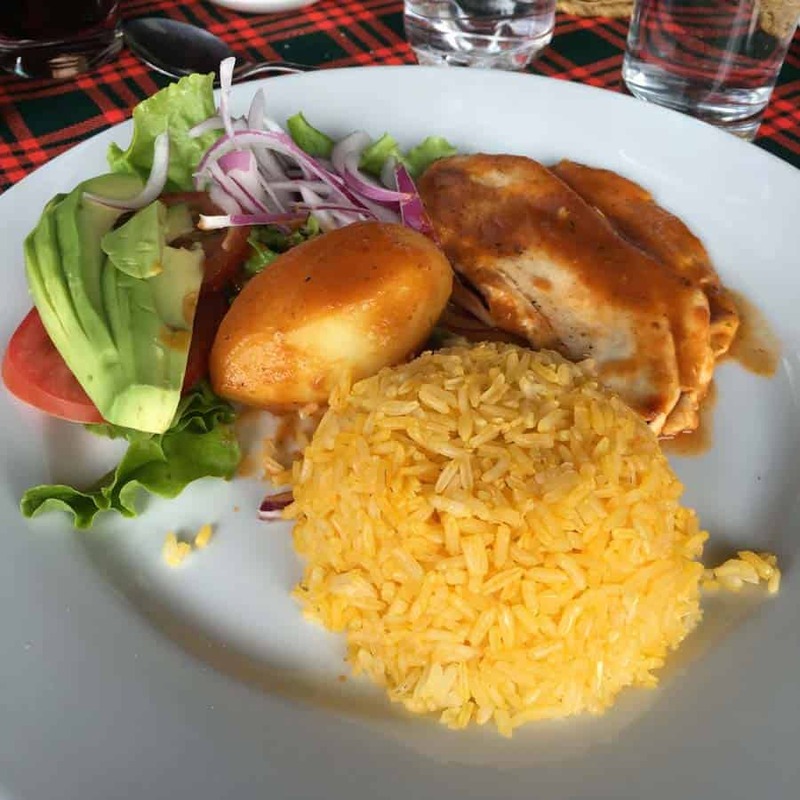 Located in the heart of Quito and inside Casa Gangotena, Cedrón restaurant offers a fine dining experience serving not only traditional Ecuadorian dishes, but also gourmet treats that will make your mouth water. The ambiance is relaxed, while still being distinguished, and offers breathtaking views of Plaza San Francisco and of Cuenca Street. Hint: Make sure to stop by the rooftop for the best picture opportunities. 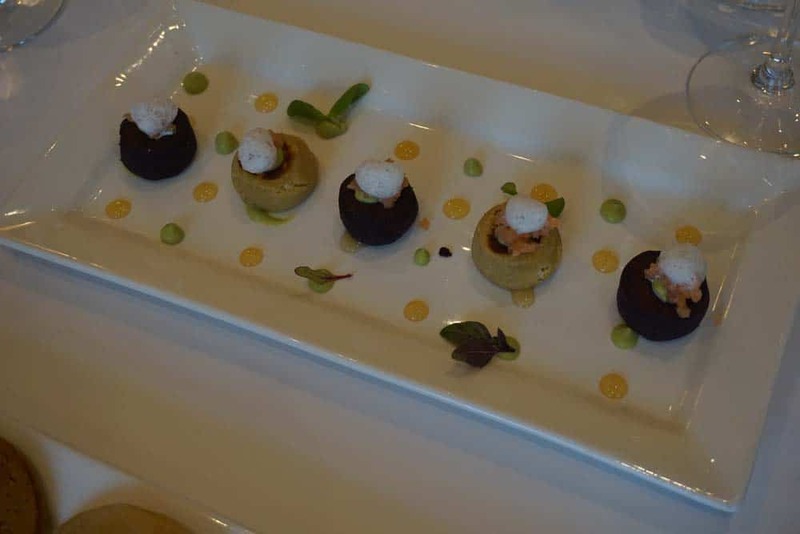 The chef, Andrés Dávila, creates unique dishes with a twist. 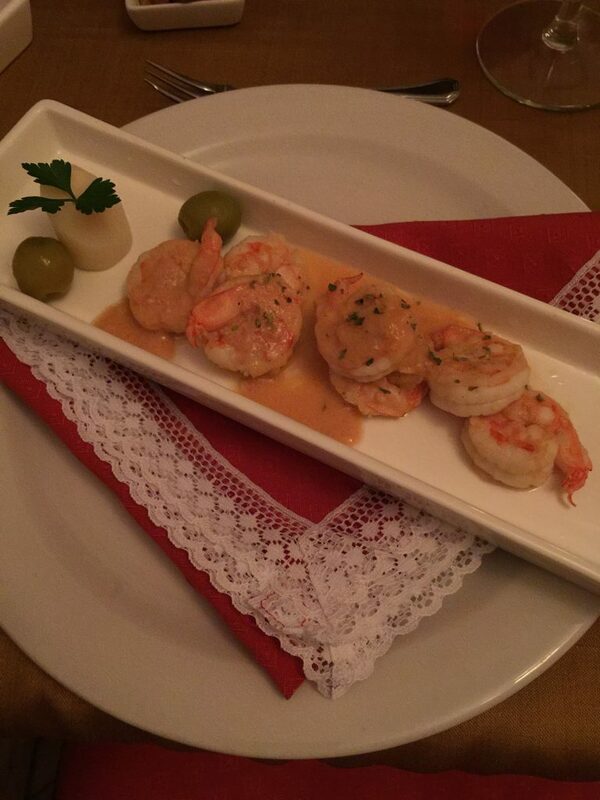 The dishes are simple but delightful. The restaurant offers fine dining on a budget. 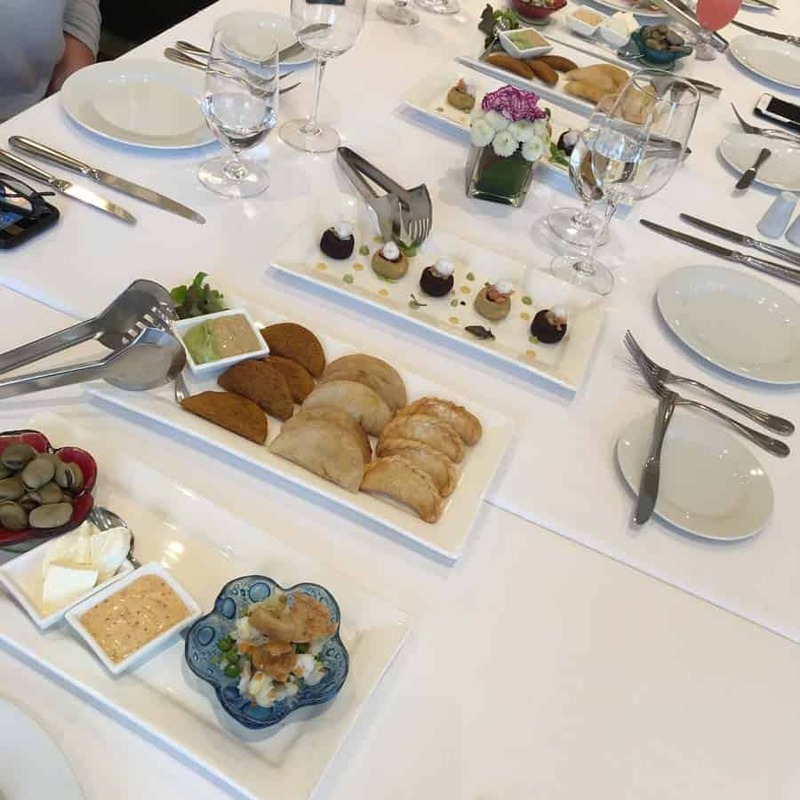 For appetizers, you must try their trio of breads, and their empanadas, which come with a variety of homemade sauces and spreads. I am personally a fan of their Ecuadorian Locro Soup. It is a potato and cheese soup. Super yummy, a must try! The highlight for me, of all of his dishes, was his unique creation, Spring Lama Rolls. I would never have imagined myself eating Lama but these were outstanding. 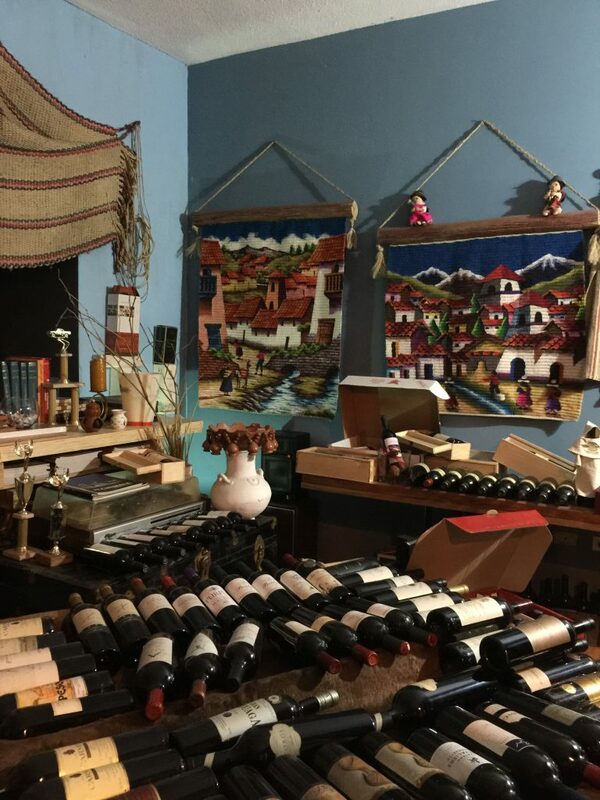 There is an extensive, and exclusive, variety of wine selected by their sommeliers. 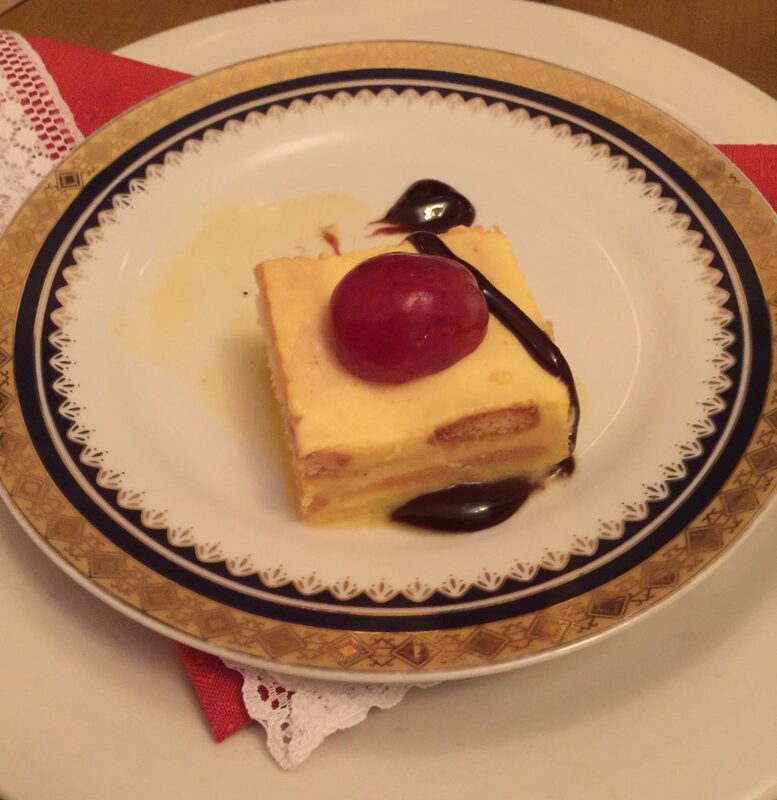 The restaurant also offers delectable desserts, such as fig cheesecake, chocolate molten lava cake, as well as different kinds of cheeses and other specialties of the day. Have you ever eaten in the middle of an active volcano? Well, this is your chance! 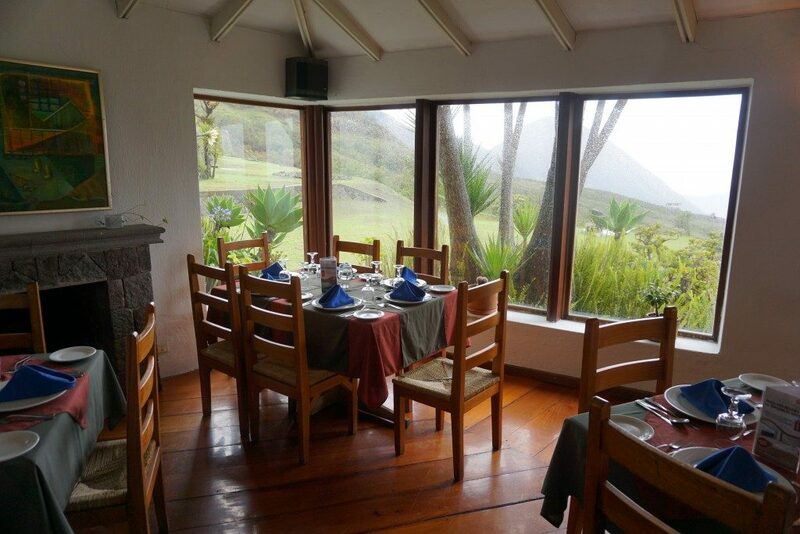 This restaurant is situated exactly on the rim of the volcano, Pululahua. It’s 20 minutes from the heart of Quito, right around the Mitad del Mundo (middle of the world). The restaurant is adjacent to the hotel El Crater and, if you look down, you will see the crater of the volcano and a whole village of people living there. It makes for a unique experience and for a selfie proving that you survived “el crater.” When I was there, taking that selfie, and tweeting about it, it earned me a free glass of sangria. 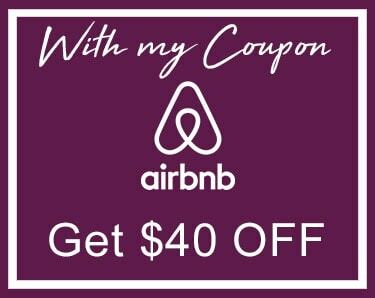 Check the information on your table to see if they still have that or other promotions. El Cráter restaurant is not only in a very unique location, but the stunning views enhances the outstanding Ecuadorian food. Their potato soup with roasted corn and avocado was delicious (locro soup) and their fritattas (sliced fried pork dish with sweet plantain and corn arepa) are must-tries. They also have fresh juices of Guanabana (Soursop) mixed with pomegranate and other fresh ingredients resulting in tastey juices and shakes. You won’t be disappointed. 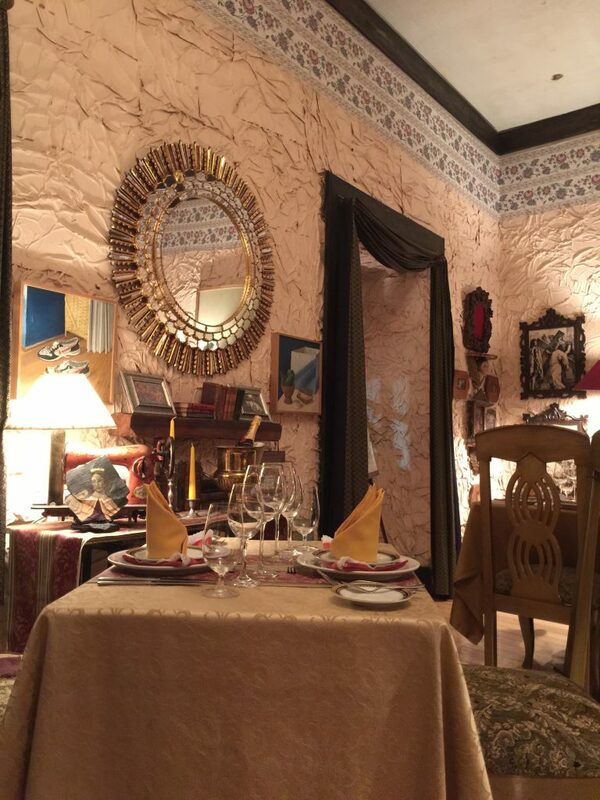 Located in the historic side of Quito, in a beautiful house, Octava de Corpus is an exceptional restaurant with a distinctive environment. 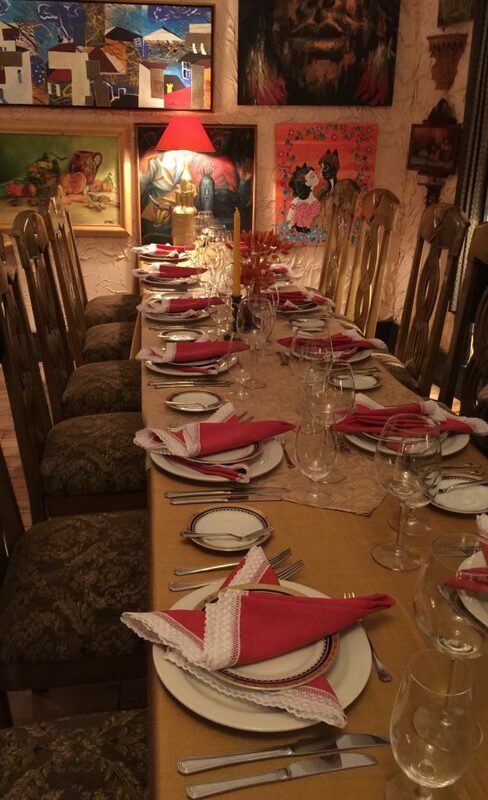 With a wonderful host named Mr. Jaime Burgos, you feel as if you have been invited into someone’s home for dinner. Reservations are required because it is a very exclusive place, only serving a certain number of people per day. As a wine enthusiast, I was impressed with their variety and selection of wines. They have an selective cava featuring wines from almost every part of the world. What a great ambiance and, even more, excellent food! Everything is simple but flavorful. They offer different seafood dishes, steak, and other gourmet plates. Overall, this establishment offers a very charming experience that you cannot get anywhere else. 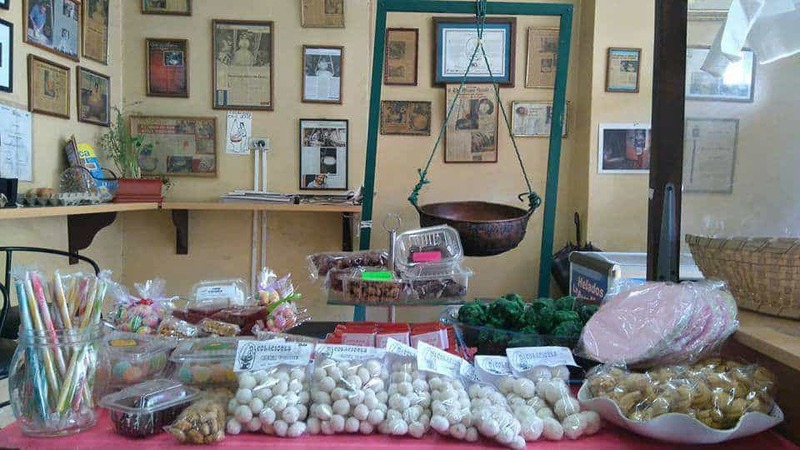 If you want to sustain a tradition that is only kept alive by one person in Quito, you must visit Cruz Verde Snacks. 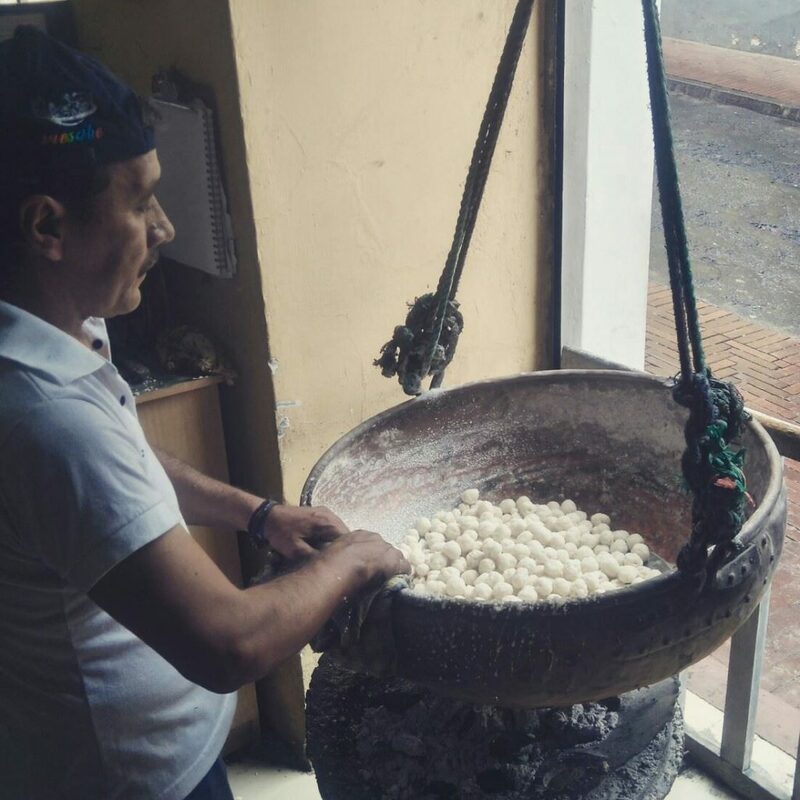 Luis Banda patiently mixes peanut, lemon, essential herbs and sugar in a 100- year old pan, just as his father did, making “colaciones” (or “snacks”), a typical Quito sweet. 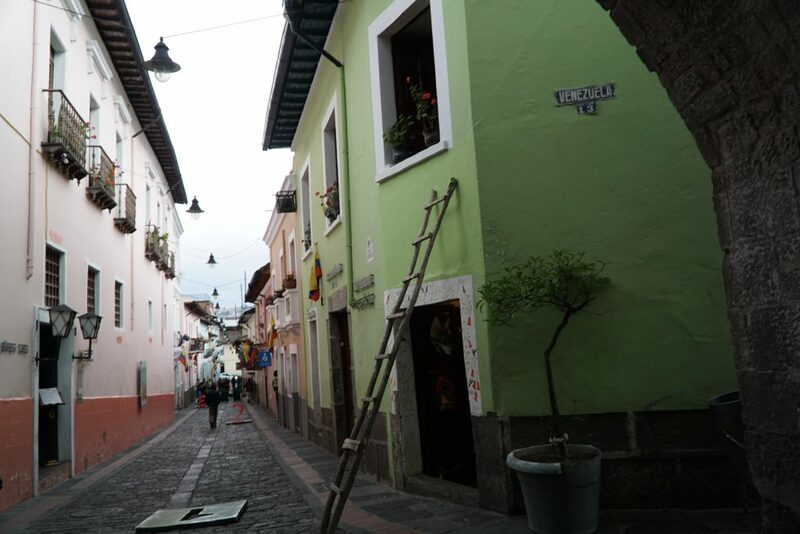 The inviting aroma and friendly demeanor of Don Luis brings us closer to glimpsing Quito’s soulful past. I even had the opportunity to try and do Mr. Banda’s “job,” after a short training, but it did not work out well. It is much harder to make than it seems from just observing. The snacks are sweet and tasty. You should give it a try and feel good about supporting a local generational business. To round out your culinary experience, why not take a cooking class? 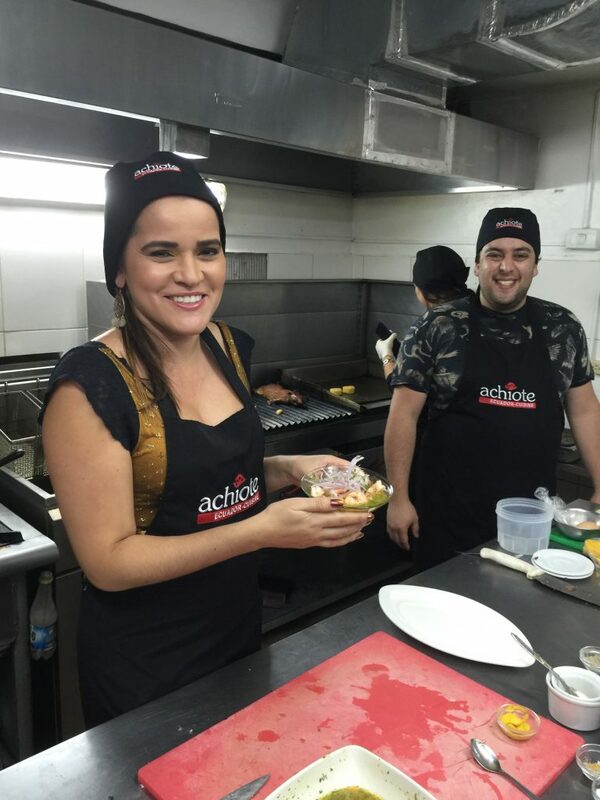 Achiote Restaurant arranges cooking classes for groups big and small. 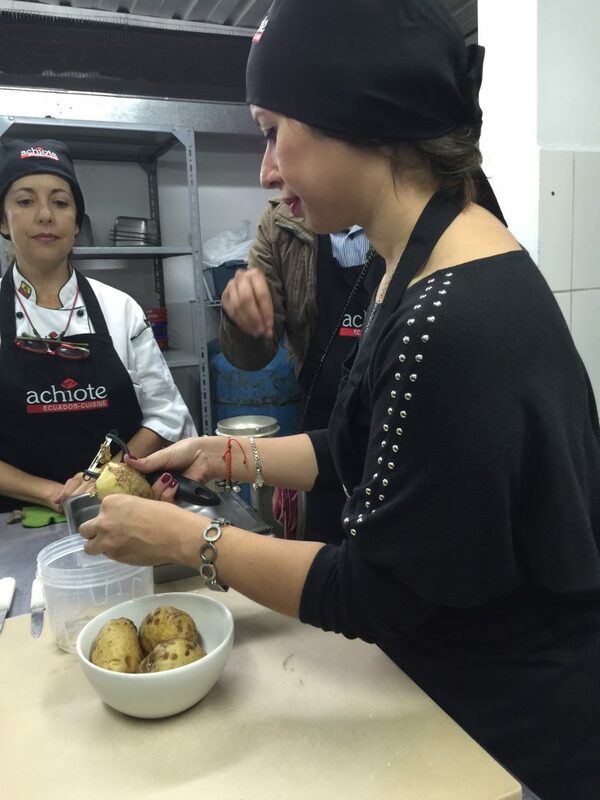 My class learned how to make traditional Ecuadorian ceviche and llapingachos (potato patties). 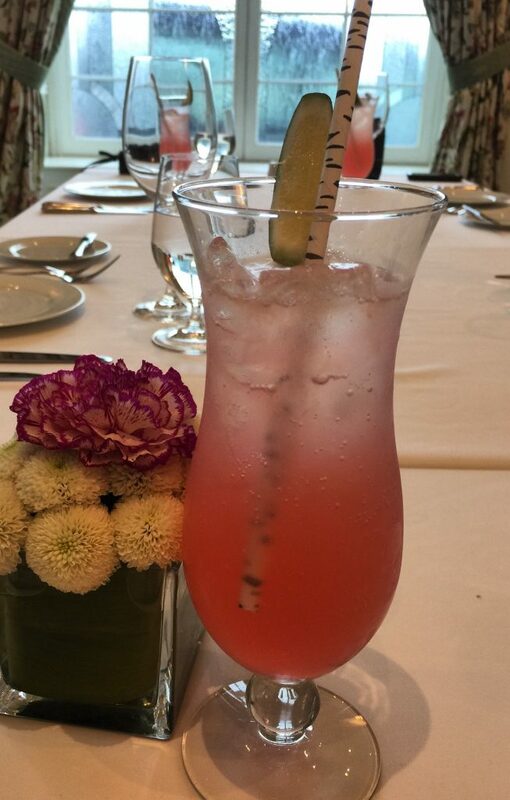 It was great to get to eat your own creation, plus to enjoy their fabulous menu, which features everything from seafood, great variety of wines, fresh fruit juices, ceviche, and even CUY (Guinea Pig) for those with a more adventurous palate. Chocolate and Coffee Lovers reading this? 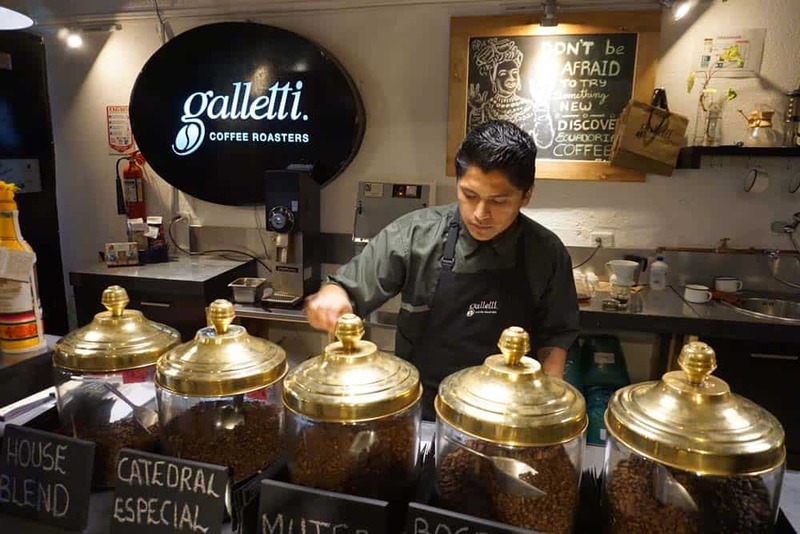 The Gourmet Gallery – Galeria Ecuador is a foodie stop where you can go for some Ecuadorian coffee and chocolate tastings. 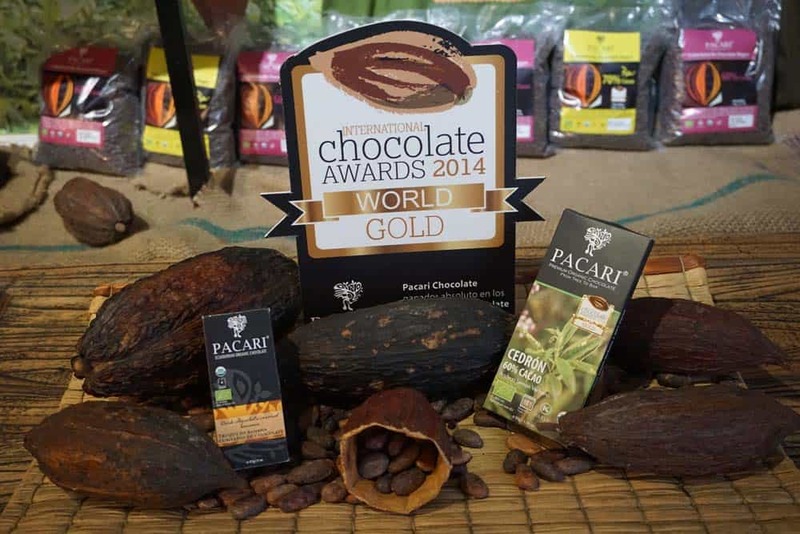 The chocolate from Ecuador has won many awards over the years, so you can find excellent, high quality chocolate. The best part is that you can purchase your favorite to take back to your sweet home, or as a souvenir. A total delight! 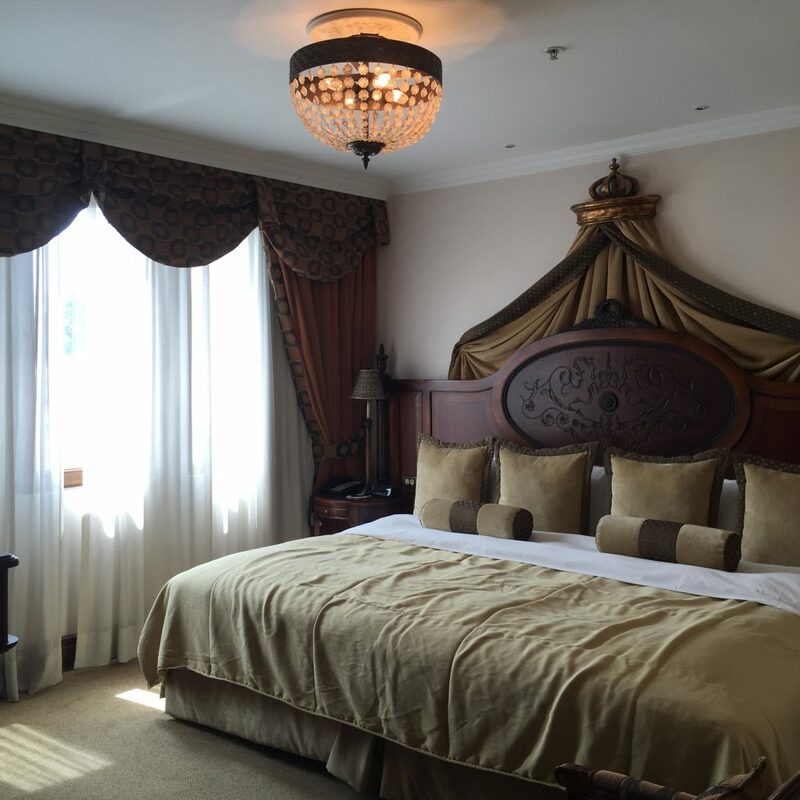 While I was in Quito, I stayed in a very nice hotel, the Hotel Plaza Grande, which is conveniently located in the heart of Quito. You will not only be welcomed with the warmest hello, but you will also find it is decorated with the most beautiful and fresh scented roses (grown and cultivated in Ecuador). The roses are change daily and you will be delighted with the range of colors, including the multi-toned ones. I truly loved that touch. 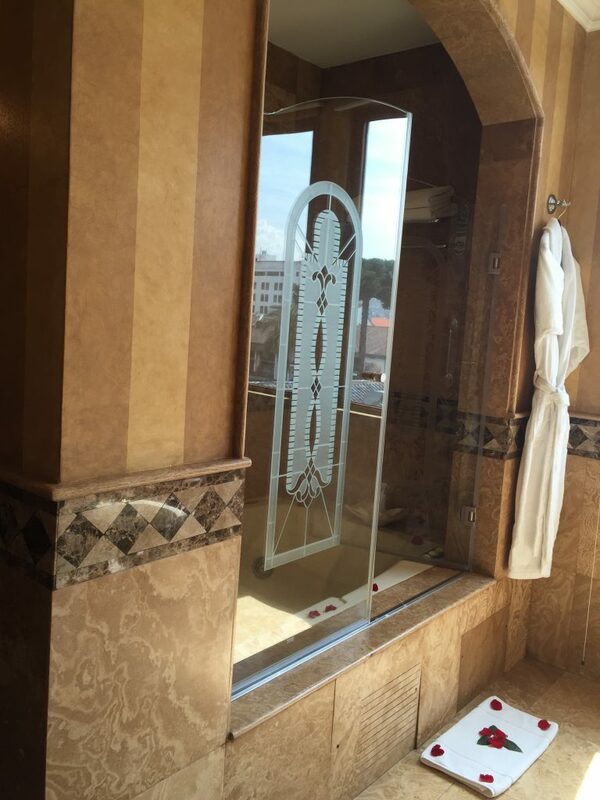 When I was escorted to my room, I found the most beautiful elegant décor, with petals of roses strewn all over the bed, bathroom floor and even surrounding the bathtub. I have to say, what a bed! It was huge, especially for a solo female traveler (it was also super comfortable). I felt like a Queen in this room. 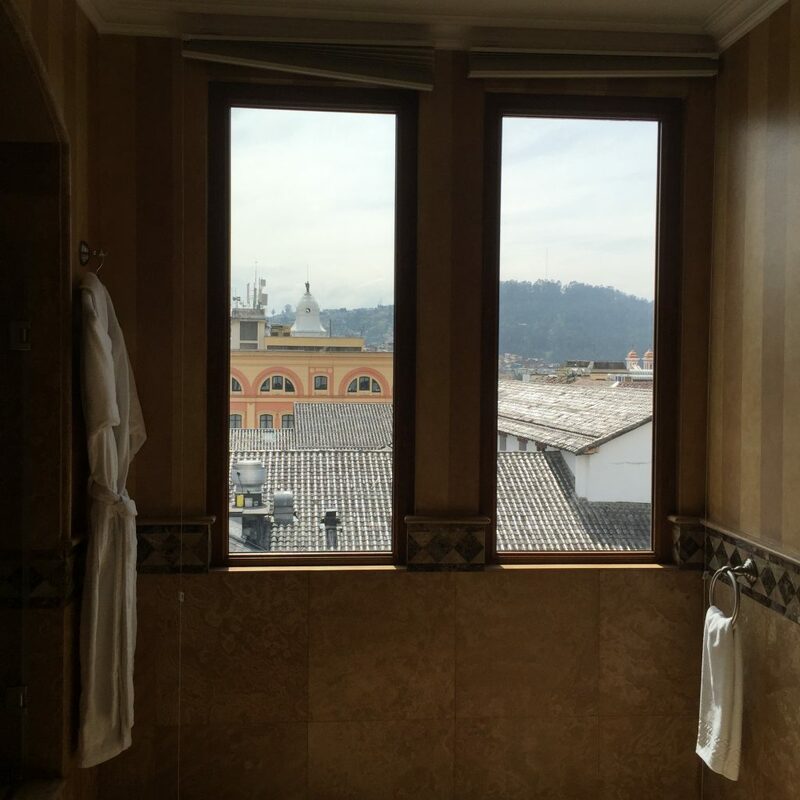 One of the things that I loved the most about staying at this hotel was that every evening the hotel provides a bag full of lavender, eucalyptus and other spices for you to enjoy in your Jacuzzi – just the thing to help you relax after your flight, and later after daily activities. It was a delightful surprise! 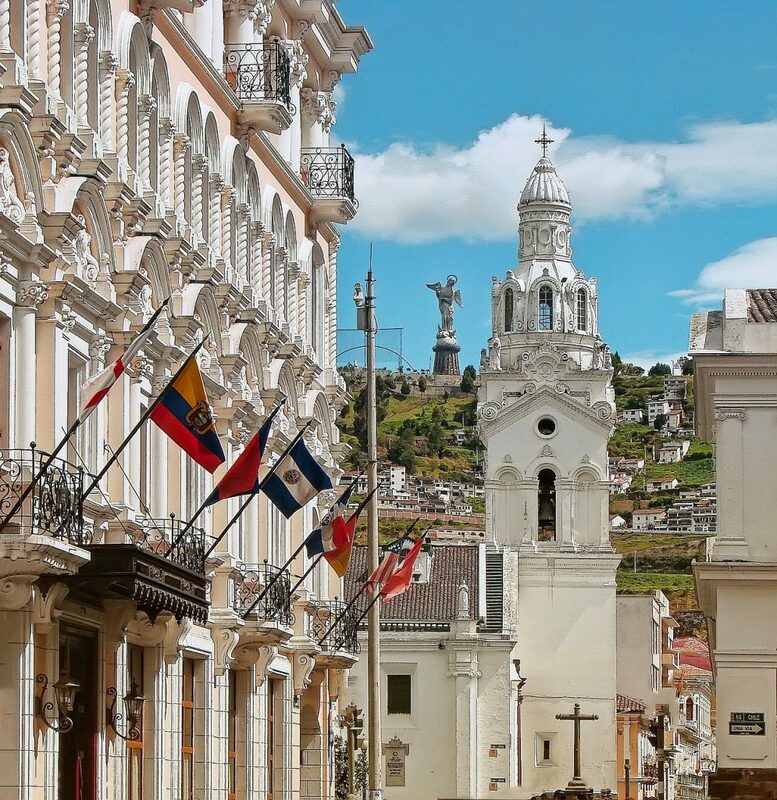 The highlight: From Hotel Plaza Grande, you can easily explore Quito on foot. 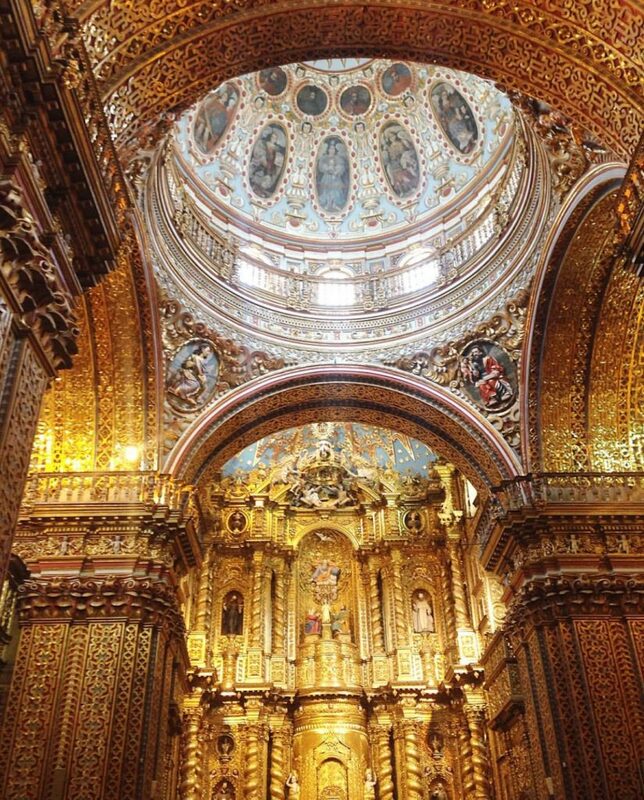 Wander around the Plaza and make sure to visit all the top things to do in Quito, recommended above. Hint: In the evening, escape to Vista Hermosa, a beautiful rooftop a few blocks from the hotel. 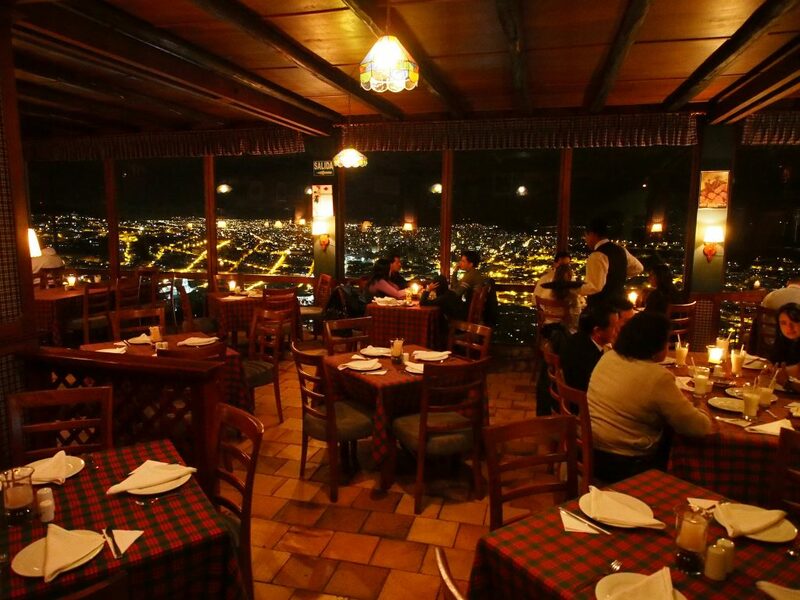 It has a 360 degree view of Quito, plus the food is great. And, if it is a cold night and you need to warm up, try their hot wine or a traditional drink called Canelazo! I cannot recommend enough the excellent free walking tours available in cities around the world. 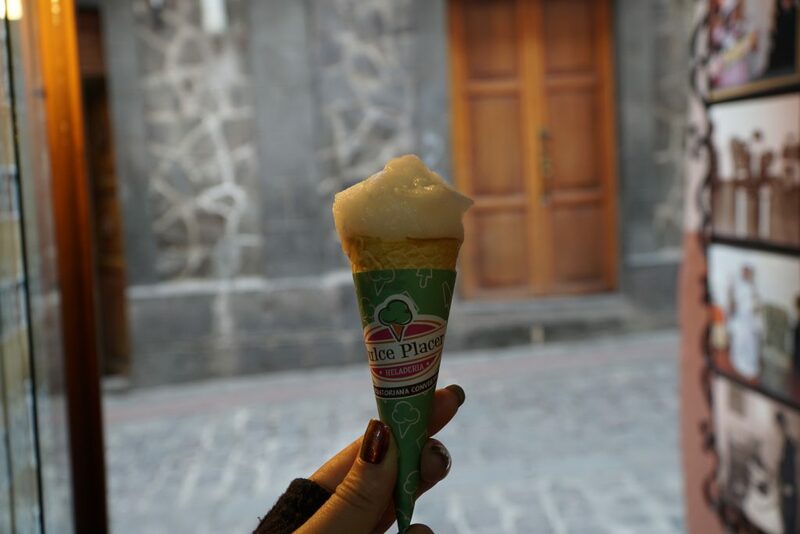 They give you a taste of the city and truly shows you the highlights, along with a little of history and background. 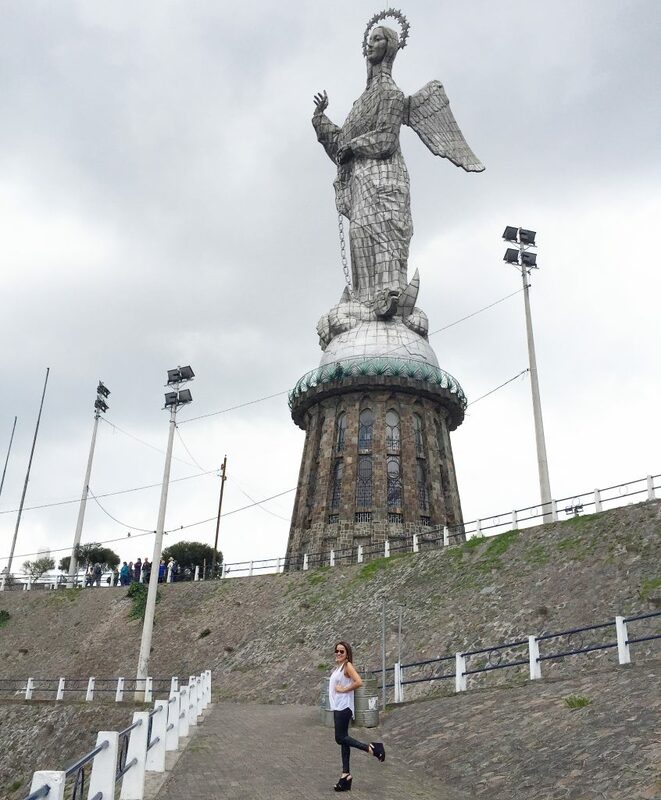 If you are up for a walk, try to take a free walking tour in Quito. Otherwise, you can also hire a private tour guide. I think knowing the history truly helps you to better understand that city, the country and its people. If you message me, I can highly recommend my private tour guide. 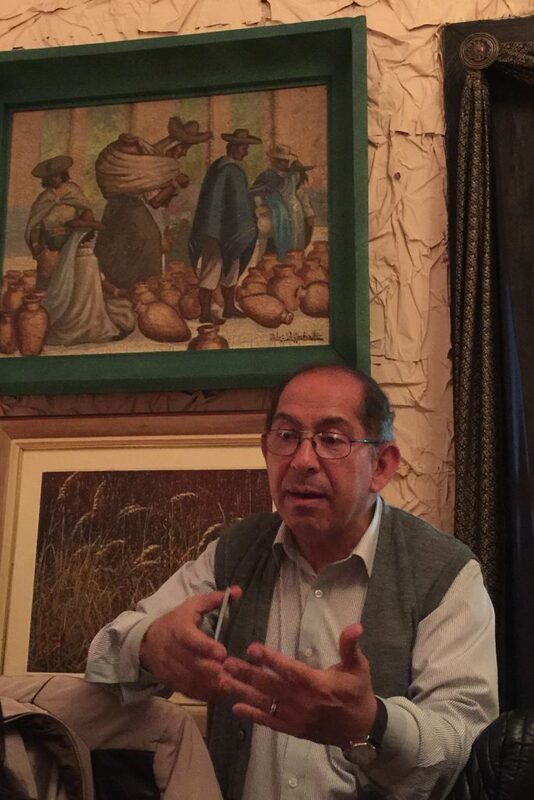 Jorge is the best and truly knows inside and out Ecuador’s history and of course, the top things to do in Quito. 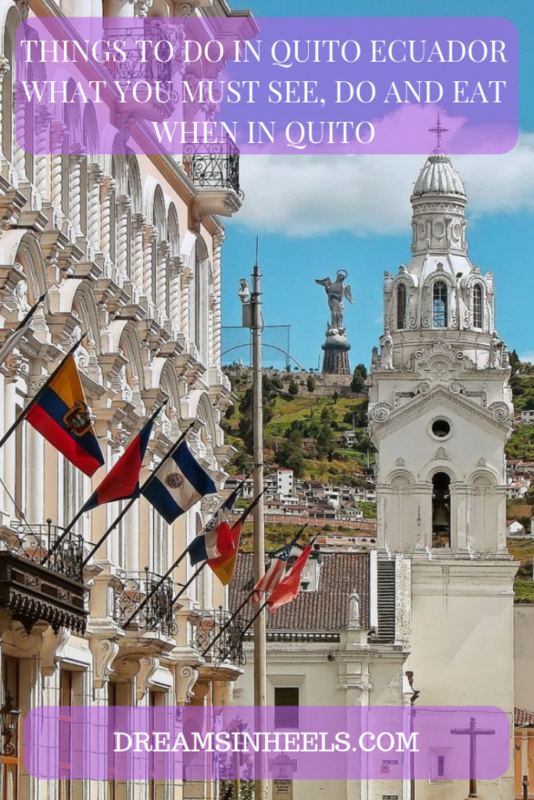 I hope that this travel guide to Quito Ecuador, has inspired your own visit. 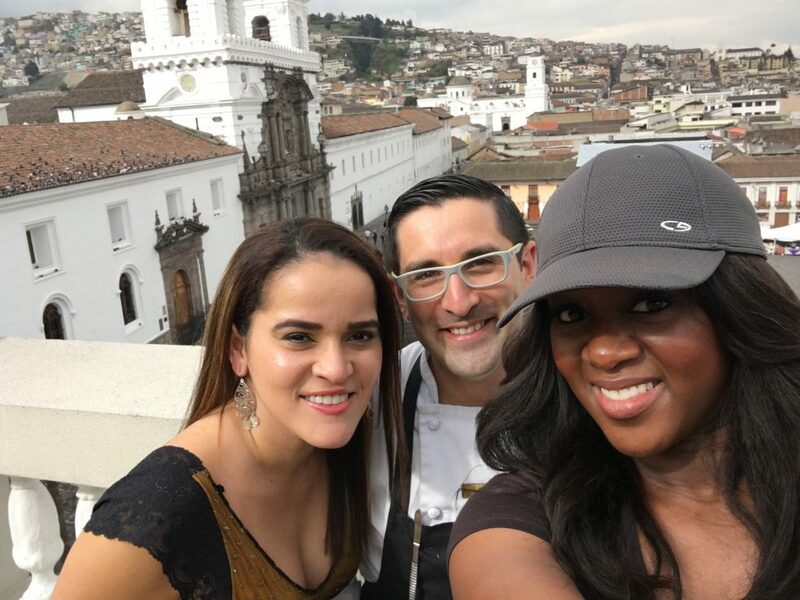 Don’t just read this, do more research, book your flight and come experience the amazing city of Quito, and all it has to offer, for yourself. 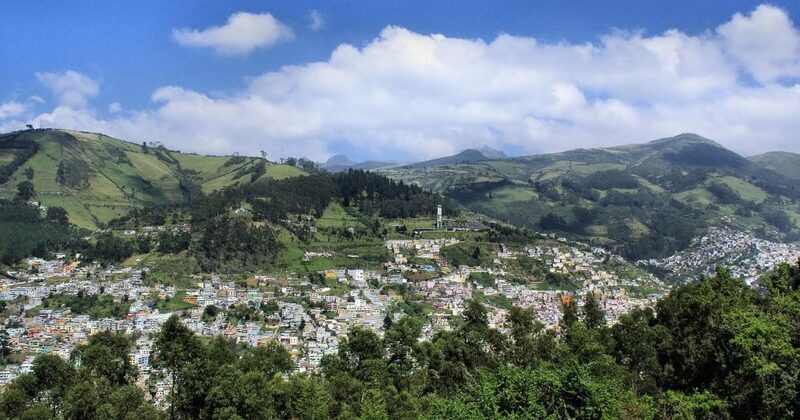 Ecuador really has it all…Que Viva Ecuador! Special Note: Thank you to Quito Tourism for hosting me on this trip. I truly fell in love with Quito. Ecuador has it all! As always, all my opinions are my own. Wow! 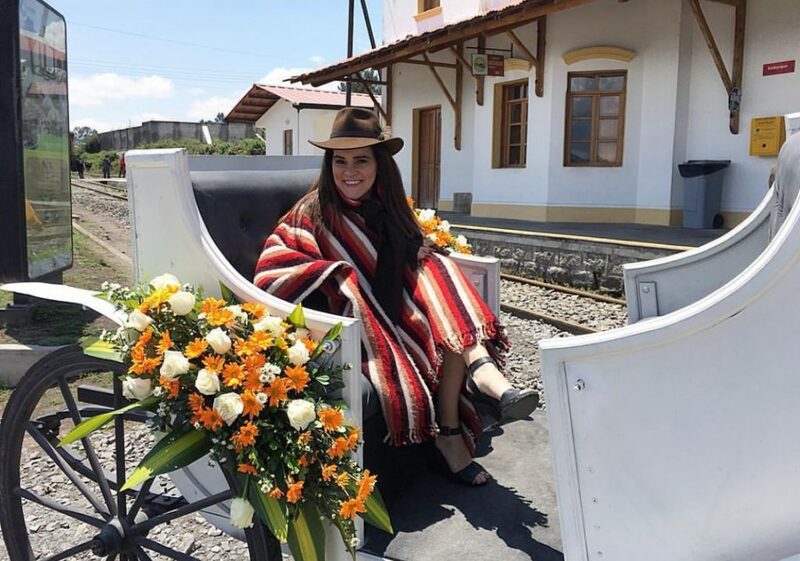 Quito seems so astonishing, Olga! This is an exceptional guide for there which I hope to put into use soon. How many days would you recommend staying there to see all the highlights? Yeah Quito is a wonderful city. I truly love it. I hope this guide helps you. I would recommend to stay a minimum of 4 or 5 days. It always depends on what you enjoy doing.